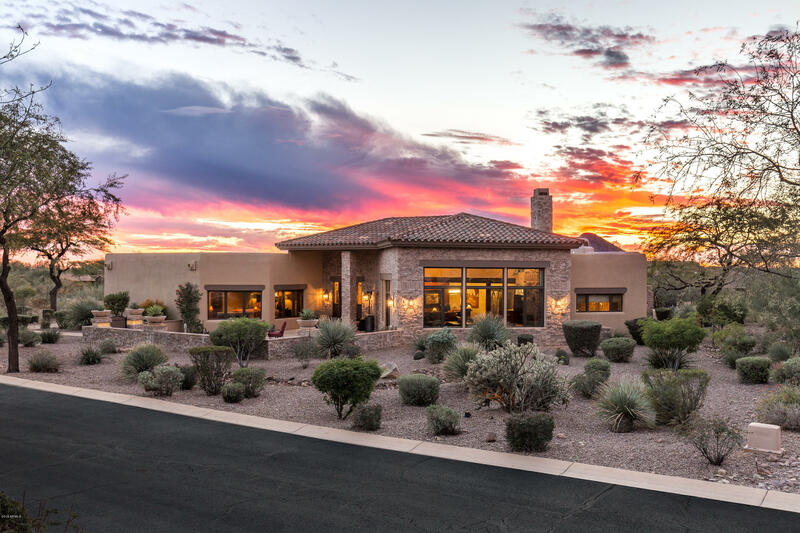 Wonderful home in SUPERSTITION MOUNTAIN. Open great room, dining room, kitchen layout. Oversized great room and huge front patio with two fountain features with fantastic MOUNTAIN VIEWS. Great spot for morning coffee or cocktails at sunset to watch the mountain turn pink! Three bedrooms, including two master suites and 2 1/2 baths. Third bedroom currently being used as an office. Back patio has a relaxing sitting area with fireplace, built-in BBQ and hot tub. Too many features and extras to mention so please review the document section for a list of these amenities. Large lot with room to expand or add a pool. Furnishings, excluding some selected pieces, artwork and personal items, available under a separate bill of sale at COE. Golf membership and amenities under separate agreement.